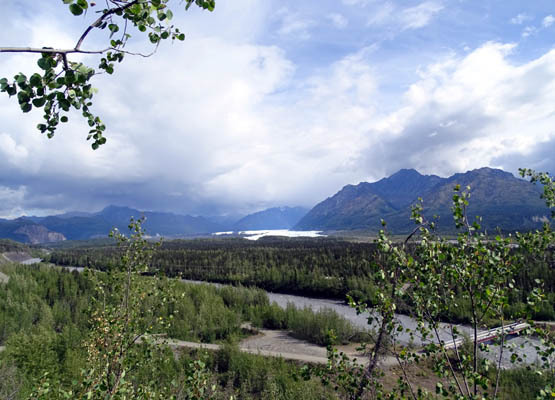 "Matanuska Glacier heads in the Chugach Mountains and trends northwest 27 miles. 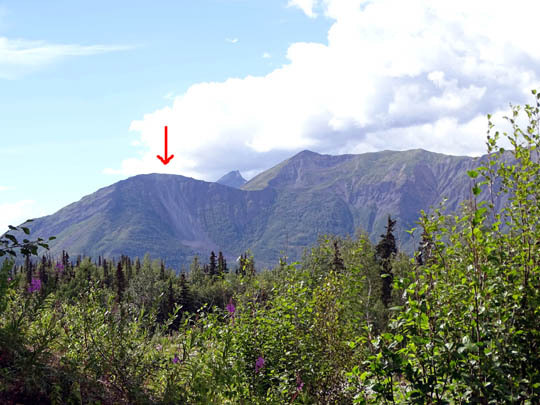 Some 18,000 years ago the glacier reached all the way to the Palmer area. wide. 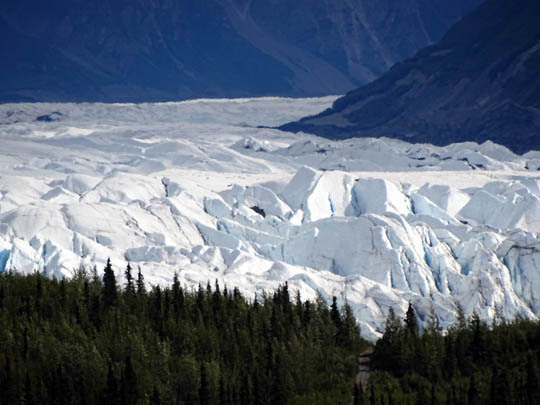 The glacier has remained fairly stable the past 400 years." 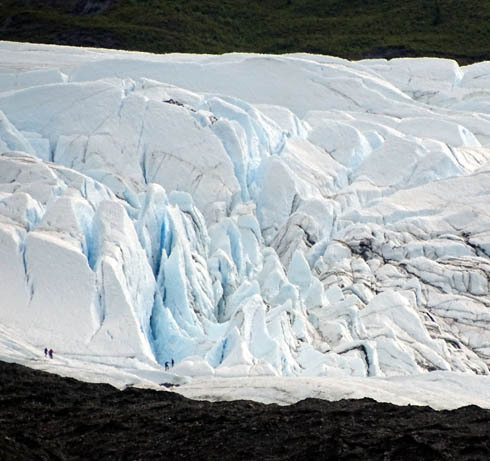 Alaska has a variety of types of glaciers, some of which I've shown in the 2012 and 2015 journals -- tidewater glaciers such as Aialik Glacier in Kenai Fjords National Park south of Seward, hanging glaciers like the ones along the Trail of Blue Ice in Portage Valley, cirque glaciers in bowls high on mountainsides, huge areas of ice like the Harding Ice Field, and several other types. 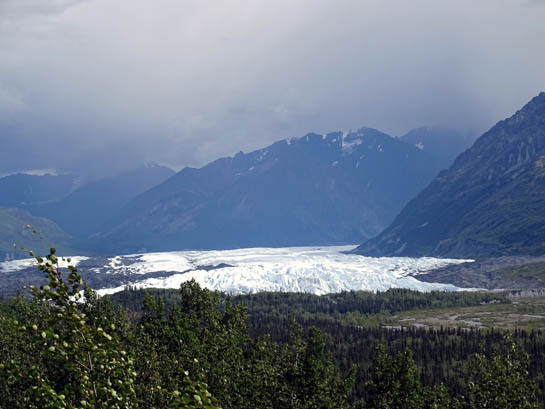 The Matanuska Glacier is a great example of valley glaciers, which often extend for many miles in mountainous regions of the state. 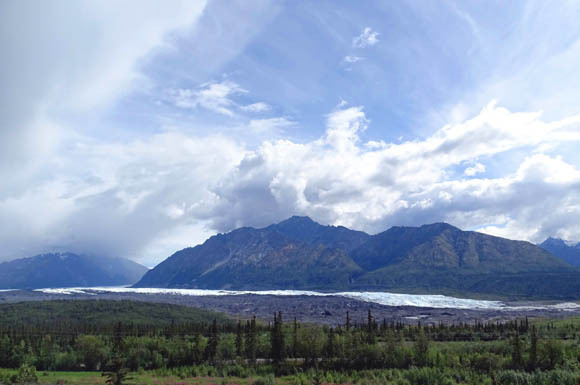 There are also excellent views of Matanuska Glacier from the state recreation site named for it at MP 101 on the Glenn Hwy. 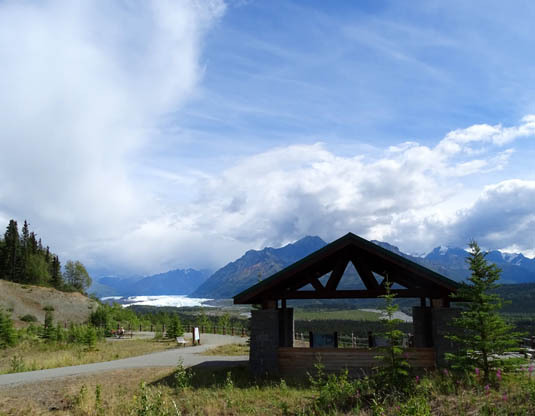 Although there is no direct access to the glacier from the 300-acre recreation site, viewing decks along the Edge Nature Trail offer good views of the terminus of the glacier and the Matanuska River. 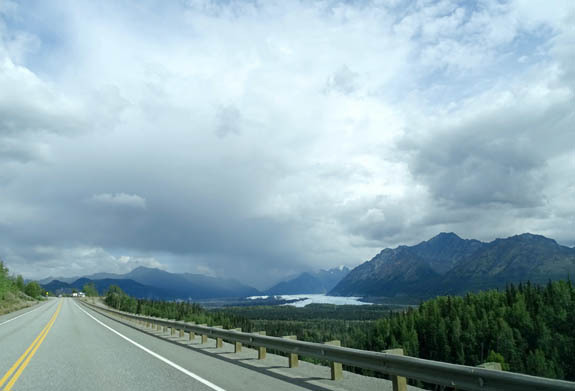 The only direct access to the glacier is at Glacier Park, a private operation located at MP 102 on the Glenn Highway. 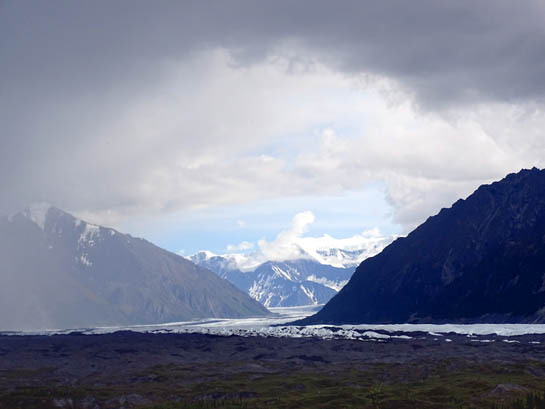 For a fee visitors can drive close to the glacier and either walk over to it on their own or hire a local guide company for a hike on the ice. 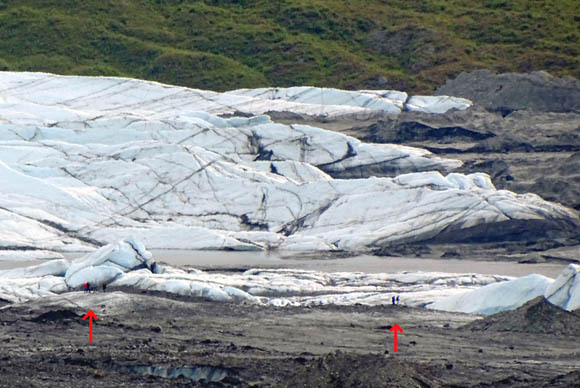 When you look at the wide-angle pictures of the glacier, and then the close-ups, the tiny people show the large scale of the ice formations. 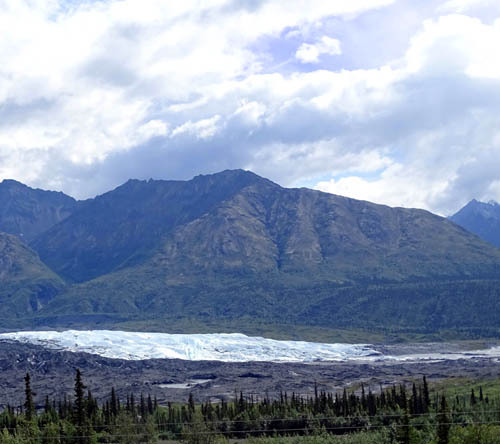 We've seen the glacier several times from the road and from the trail in the state recreation site. I'll include additional photos from those vantage points in this entry. 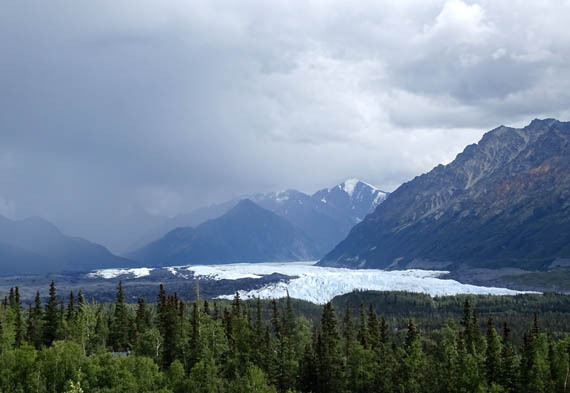 We've never gone down to hike on the glacier itself but that would certainly be a "cool" thing to do if you have the time and $$$. 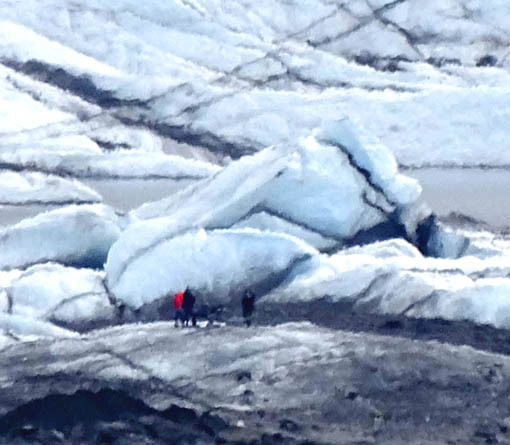 We've seen enough glaciers close up that we didn't think it was worth the cost for us to get right next to this one. 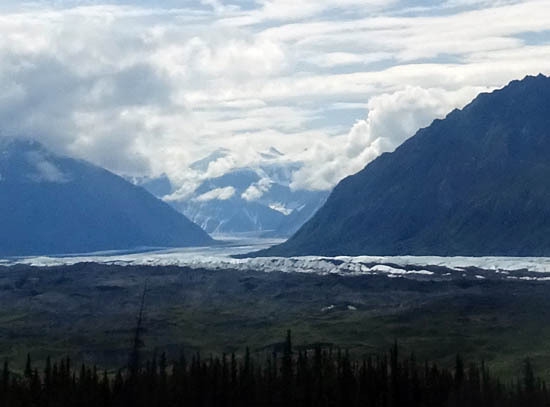 MORE GLACIER VIEWS FROM THE GLENN HWY. 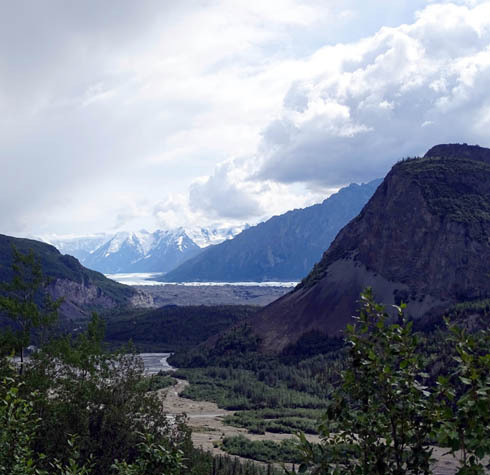 At the beginning of the July 10 entry I showed several pictures of the glacier that I took in the morning when we were driving eastbound to Grand View RV Park, as well as photos of another part of the glacier from the bluff behind the campground. 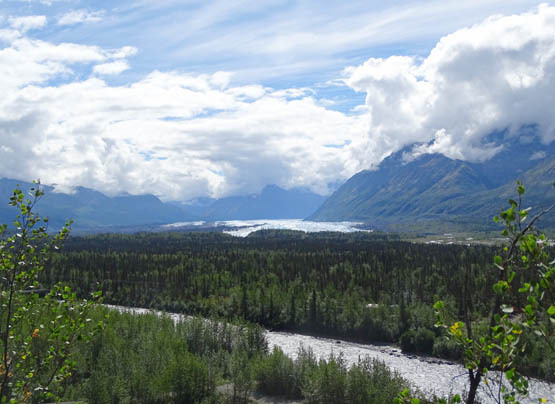 Later that afternoon, while Jim was preparing for the Fireweed 400 bike race, I drove nine miles down the highway to the state recreation site, taking more photos from overlooks on the way there and back, including all but one of the pictures above. 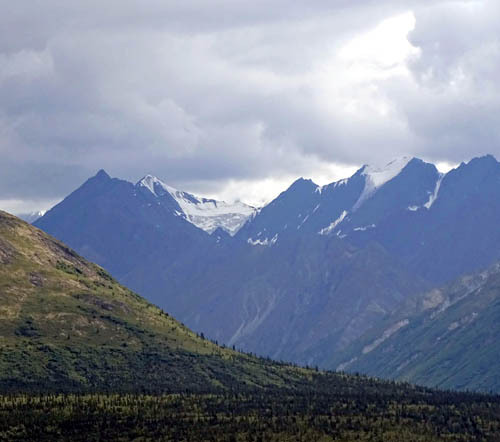 The glacier curves out of the mountains into the valley paralleling the Glenn Hwy. I could see rain heading toward me the whole time I was out there but somehow dodged it. 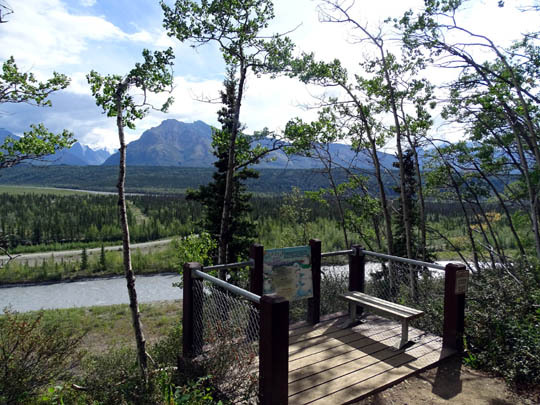 Although we didn't get down to the glacier at Glacier Park, its only access point, we did enjoy the views from the Matanuska Glacier State Recreational Site from the viewing area at the parking area and from the platforms on the Edge interpretive nature trail. 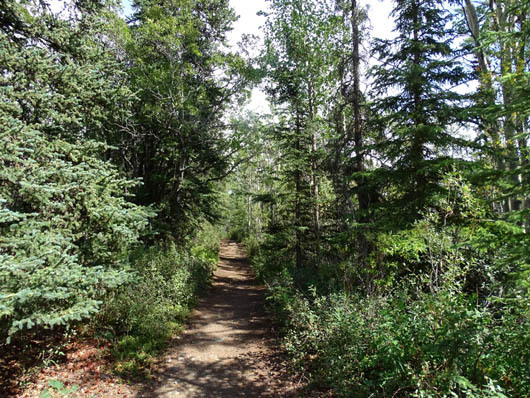 The wide, smooth gravel trail begins up a small hill and comes to an intersection in about a quarter mile. I went straight, going clockwise around the loop. 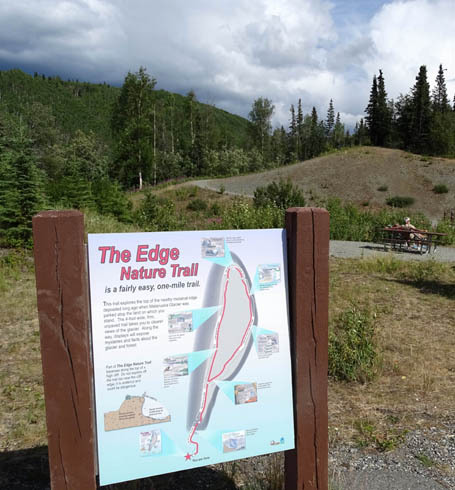 At the far end of the loop the trail descends and then parallels about 100 feet above the Matanuska River. 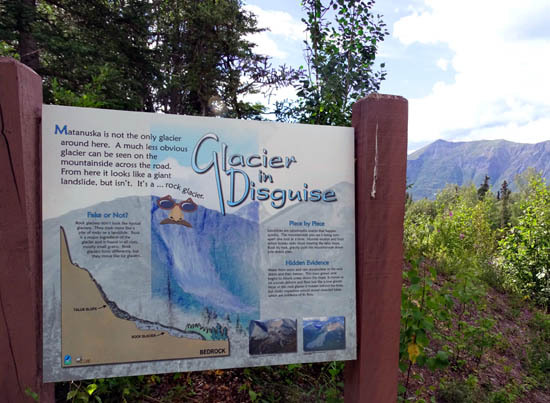 On the hill near the end/beginning of the trail is a sign about the rock glacier you can see across the highway It's yet another type of glacier in Alaska. 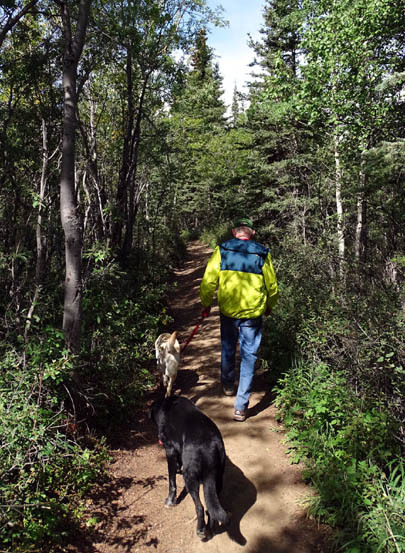 I enjoyed the one-mile loop trail so much on Friday that I talked Jim into hiking it with me this morning (Sunday). It was a good way for him to stretch out after his long bike ride yesterday and there were hardly any other people around. 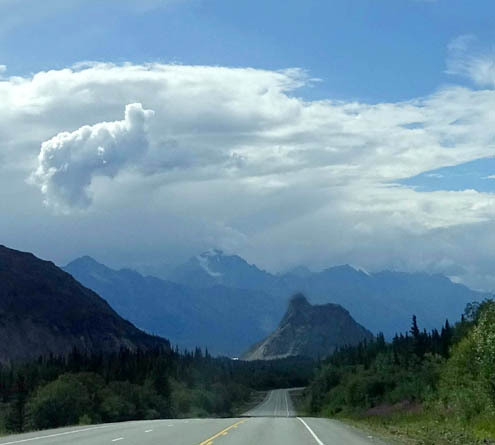 These mountains are real cloud magnets! We saw these three rafts floating down the river this morning. 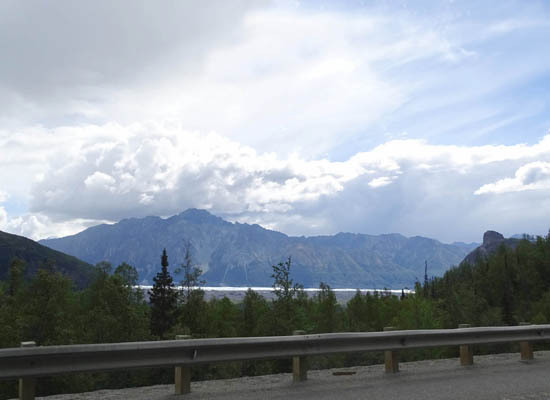 If you're traveling along the Glenn Highway in this area, at minimum take some time to view the Matanuska Glacier from one or more of the large waysides. 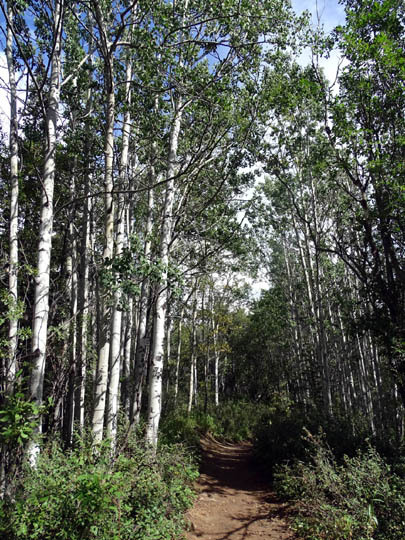 If you have more time, the one-mile nature trail at the state recreation area is a good option. 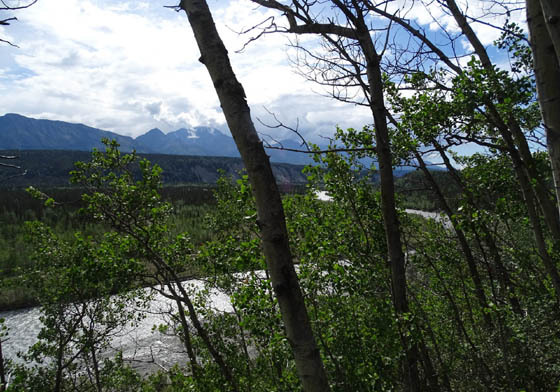 We mostly relaxed today at Grand View RV Park and talked with some of our neighbors and other people who stopped to eat at the restaurant, which is close to our site. It was busy all day, probably because there are very few places to eat between Glennallen and Palmer. We talked with two young male cyclists from Great Britain who stopped for an hour to eat and rest. 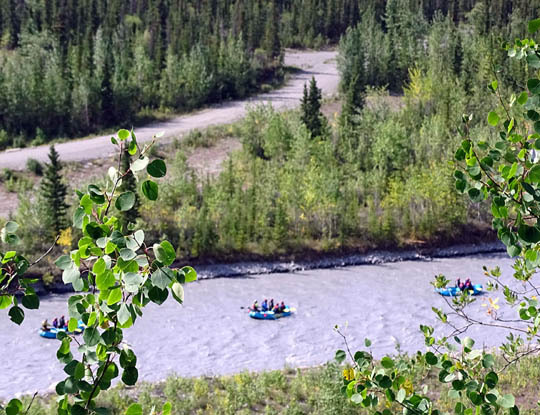 They have just begun a two-month cycling trek -- sans crew -- from Anchorage to Mexico. Cool! We're excited about our plans, too. 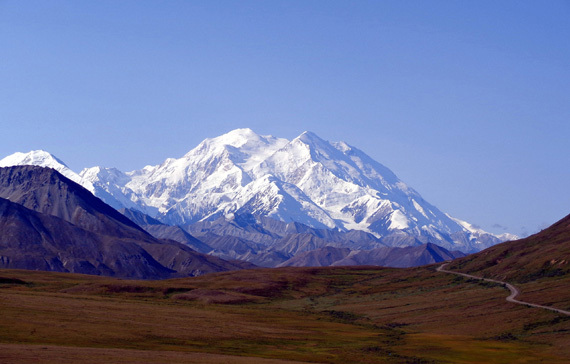 We're heading to Denali National Park tomorrow, our favorite place in Alaska. 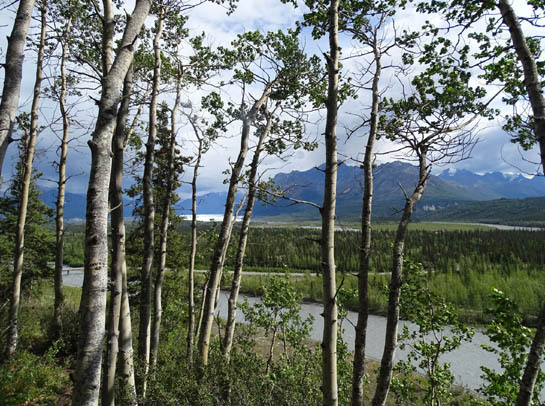 We hope to have some great photos and stories to share with you here.